..."I received a surprise package in the mail today. It is an original painting by the world’s foremost painter of pannycakes, Dan Lacey. 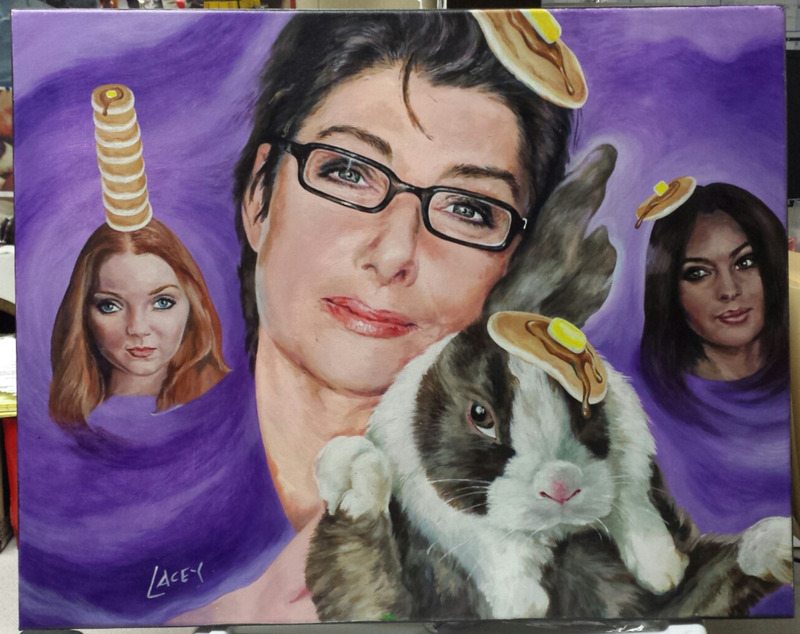 It features 3 of my future wives: Sue Perkins (holding the bunny), supermodel Lily Cole (left) and Monica Bellucci (right). It was commissioned by a dear friend of mine in South Florida (who is also the attorney who drew up my will). She wanted to commemorate my not-dying from that heart defect last year. I can’t think of a more beautiful gesture. If you want to see more of Lacey’s work, here’s a link to his Flickr gallery."